According to new data collected by IndustryNet, job growth in Illinois’ manufacturing sector remains at a virtual standstill, posting a slight loss in jobs for a third straight year. Employment losses have eased somewhat, however, with declines between November 2016 and November 2017 about half those recorded in the prior survey year (2015-2016).Also, Chicago is seeing the reverse of the state’s woes –with the city adding industrial jobs for a third straight year. Though Illinois has struggled to recover from the recession, it has not all been bad news. This article will take an in-depth view of Illinois’ manufacturing sector, exploring city, county, regional, and historical data collected by IndustryNet. We’ll also zero in on some of the challenges faced by Illinois manufacturers, and provide some insight into the state’s outlook in light of shifting state and federal policies. Manufacturing employment in Illinois notched down a half percent in 2017, or by 2,966 jobs, roughly half of the jobs lost in 2016, and far less than the 7,000 positions the state shed in 2015. Central Illinois accounts for just 12% of the state’s industrial employment, yet shouldered the majority of job losses over the year. Industrial employment fell 4.8% in West Central Illinois and declined 2.3% in East Central Illinois. Jobs were little changed in Northern Illinois, with suburban Cook County jobs up a third of a percent. Jobs in downstate Illinois also remained stable. 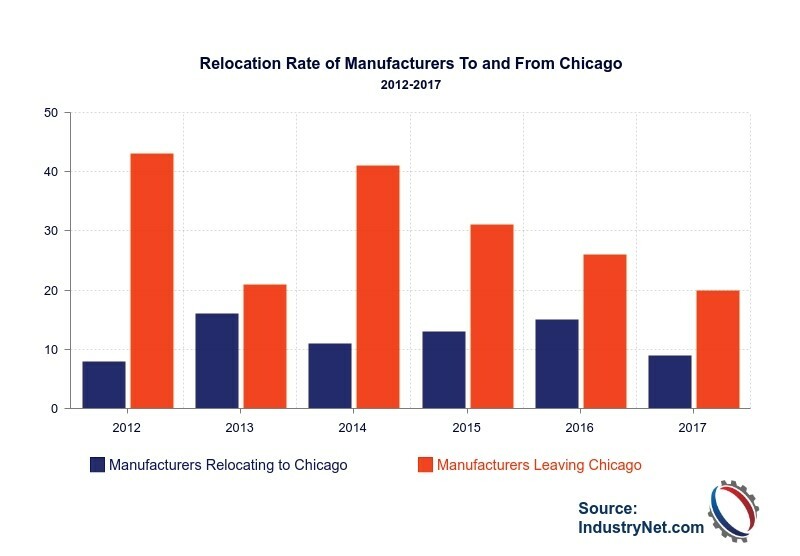 The rate at which Illinois manufacturers are migrating to other states also appears to be slowing. According to data tracked by IndustryNet. Manufacturers leaving Illinois accounted for 30% of 2017’s job losses. Thirty-five industrial companies left the state in 2017, taking 875 jobs; compared to forty companies and 1,411 jobs in 2016. Of those migrating companies, 20% headed for Wisconsin in 2017. Indiana was a close second over the year, with 17% of departing companies relocating to the Hoosier State. Florida, Missouri and New Jersey each attracted 12% of migrating Illinois manufacturers. Once at the center of Rust Belt declines, Chicago is fast re-emerging as an epicenter for industrial growth in the Midwest. The city posted a net gain in manufacturing employment for a third straight year, adding 1,300 jobs in 2017. In addition, companies are leaving Chicago at a slower rate, with twenty Chicago companies relocating to other parts of the state in 2017, compared to twenty-six in 2016; thirty-one in 2015; and forty-one in 2014. Chicago has invested heavily in drawing new businesses to the area, launching its Capital Access Program in 2014, while a number of university-supported start-ups and tech incubators have emerged across the city. In 2015, the Digital Manufacturing Design and Innovation Institute (DMDII) opened its doors in the city’s Goose Island industrial park. 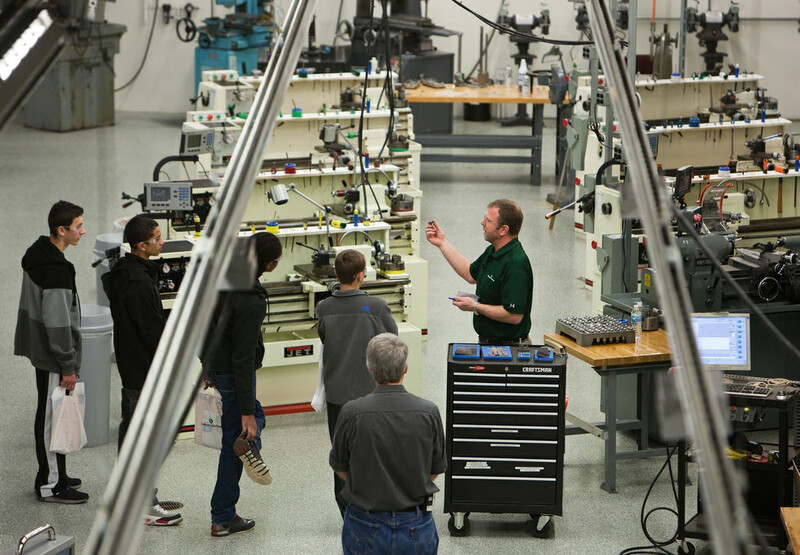 The DMDII is a private/public consortium aimed at fostering groundbreaking research for advanced manufacturing and design innovation, and a number of the state’s major manufacturers like Caterpillar, Boeing, and General Electric are members. And just last year, mHUB established an innovation center for product development and manufacturing on the city’s west side, aimed at connecting manufacturers with the tech community in order to foster the manufacture of innovative new products. 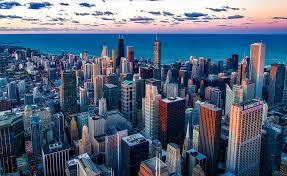 Chicago remains the nation’s third-largest city for manufacturing employment, home to 108,765 workers. The city’s gain is reflective of a growing trend among many U.S. industrial cities from Boston to Baltimore, with factory employment shifting from small towns to metro areas as manufacturing becomes more tech-oriented and reliant on a highly educated workforce. Despite Chicago’s gain in employment, Illinois remains at a standstill in terms of manufacturing growth overall. A number of factors have contributed to the state’s stagnation, including high business costs, global competition, a strong dollar and lagging infrastructure. A major contributor to Illinois’ lukewarm growth was the state’s three-year budget impasse, which left the economy in limbo and made it difficult to lure new manufacturers to the state. The budget crisis was far-reaching, damaging the state’s credit rating while stripping funding for the community colleges which many manufacturers rely on for recruitment and training. At the same time, Illinois’ neighbors have seen their industrial sectors thrive in the post-recession era, luring many manufacturers over the border. States like Indiana and Wisconsin passed right-to-work legislation, significantly lowering labor costs for industrial businesses, and many offered huge incentive packages to potential manufacturers -- Wisconsin’s recent bid for Foxconn most notable among them. Yet, Illinois still has a great deal to offer to manufacturers, and with a new budget underway, the state could be at a turning point. Illinois’ manufacturing sector remains one of the nation’s strongest and most diverse. Among its advantages are strongholds in traditional industries like machinery and food processing, as well as innovative, high-tech enterprises that draw from the state’s educated workforce. Illinois’ ideal proximity to distribution and supply chain hubs is also a major advantage, as are some of its top-notch business incentives. In addition, major policy changes on the federal level could benefit Illinois manufacturing in the years ahead. Over the past year we saw a number of new plant announcements, which bodes well for the state’s industrial climate. Crop Vitality established a liquid fertilizer plant in East Dubuque, while Phibro Animal Health Corporation opened a nutritional products facility in Quincy. Rivian Automotive established operations at the former Mitsubishi site in Normal and laser machine tool-maker TRUMPF started up a “smart” factory in Hoffman Estates. A number of new policy changes are expected to have a major impact on the nation’s manufacturing sector – and on Illinois in particular. Illinois is the second-largest steel importer in the U.S., and the administration’s recent import tariffs on steel and aluminum are set to have a major impact on the nation’s manufacturers and especially on Illinois industries. Major manufacturers such as Caterpillar rely on imported steel to make their products, and the state’s sizable auto sector is likely to feel a lasting effect as well. At the same time, Illinois steel producers stand to benefit from the new import tariffs, as more and more manufacturers rethink their supply chain and search for domestic sources of steel. Not long after the import tariffs were finalized, U.S. Steel announced it will re-open its idled blast furnace in Granite City and hire 500 workers– a major boon for the state’s steel industry. 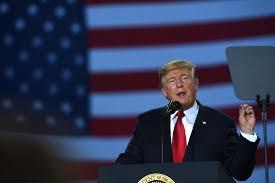 Finally, the Trump administration’s recently enacted tax reform is expected to spur investment among the nation’s manufactures and may prove beneficial to Illinois industrial companies. Recent economic reports continue to paint an optimistic picture of U.S. manufacturing growth with supply chain executives regularly crediting tax reform as cause for expansions. Despite the current lag in growth, Illinois has made some impressive strides overall. Next, we’ll take a look at how much Illinois manufacturing has grown since the recession. Illinois was hard hit during the recession, shedding 120,000 jobs during the downturn. Between 2010 and 2011, however, Illinois’ industrial sector began to climb back, recovering 3,400 jobs– its first improvement since before the recession hit. The auto bailout helped Illinois recoup some of the jobs lost to the downturn, evidenced by a 5% rise in employment for this sector. 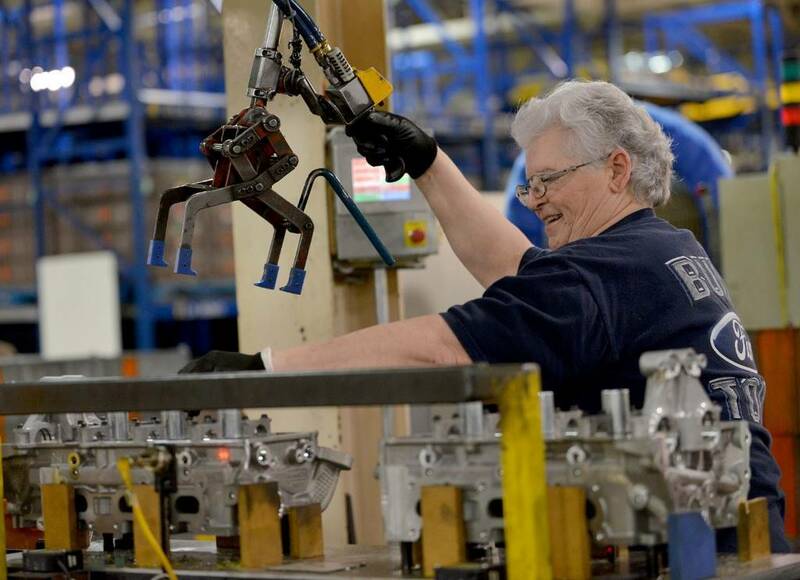 Among major announcements for the industry included Chrysler’s planned expansion of its Belvidere assembly plant which would bring 1,800 jobs to that town. In addition Boeing’s plant in Mascoutah reopened, Continental Tire unveiled a new tire factory in Mount Vernon; and Ford announced plans to expand in Chicago. Other bright spots that year included the expansions of Caterpillar’s plants in Decatur and East Peoria. In addition, Excel Foundry & Machines announced the company would expand its Pekin factory; Magnum Steel Works unveiled plans for an expansion at its Mount Vernon facility; while Italian pasta maker Pastificio broke ground on a production facility in Bartlett. Additional industries that added jobs included instruments/related products; rubber/plastics; and electronics. A number of closing were announced however, and were largely concentrated in the printing/publishing industry, as well as industries related to the housing sector. These included Quad/Graphics’ Mt. Morris site and The Chicago Sun-Times’ printing plant on Chicago’s south side. We also saw the shuttering of Protein Solutions’ meatpacking plant in Chicago; Honeywell’s Safety Products establishment in Rock Island; Dehler Manufacturing’s facility in Chicago; National Envelope’s Elk Grove Village site; and Lifetime Doors, Inc.’s location in Watseka. Chicago manufacturing employment held steady in this year, after losing 22,000 jobs during the recession. In this year, Illinois gained double the number of manufacturing jobs than it had in the previous year. The state added nearly nearly 7,000 jobs, amounting to a one percent gain. 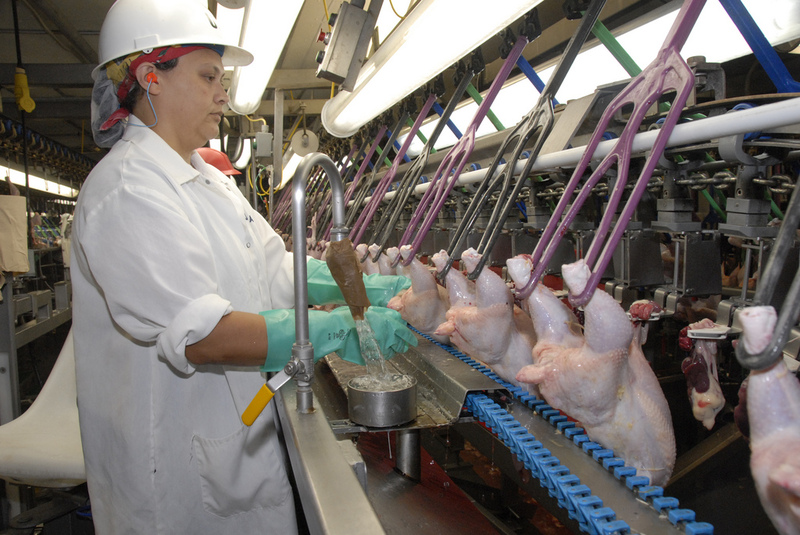 Gains were led by Illinois’ largest sectors by manufacturing employment including industrial machinery; fabricated metals; and food processing. In that year we saw a number of manufacturers announcing new operations in the state, including Japanese train-car maker Nippon Sharyo, which established a U.S. headquarters and production facility in Rochelle; Lenze Americas which unveiled a new assembly plant in Glendale Heights; and metal roof manufacturer MBCI, which announced plans to establish a factory in Mattoon. In addition, Cook Medical expanded its plant in Canton, and Nexus Corp. established a new assembly plant in Pana. Expansions were also abundant and included Bridgestone Tires in Bloomington; Quad/Graphics in Effingham; Continental Tire in Mt. Vernon; and Case IH in Goodfield. In addition to the state’s largest sectors, a number of smaller industries also posted gains, including paper products; electronics; and rubber/plastics. Illinois was still plagued, however, by job losses in industries related to the housing sector, such as furniture/fixtures; lumber/wood; and stone/clay/glass. Industrial jobs in Chicago remained flat, while jobs in the collar counties continued to rise. Illinois lost industrial jobs in this year, with manufacturing employment down by a little over 4,000 positions, led by a 2.5% loss in the fabricated metal sector. Printing/publishing also continued to shed jobs, down 6% in this year, as did petroleum products, down 4%. A number of smaller sectors also posted declines, while gains in a handful of industries such as transportation equipment and furniture/fixtures were not strong enough to offset losses. In that year, we saw D.B. Hess shutter its printing plant in Woodstock, while Sensata Technologies closed its facility in Freeport. Bombardier Recreational Products shut down its boat making plant in Benton, and Ball Corp. closed its food packaging factory in Elgin. One bright spot, however, was a 3% increase in the state’s food processing sector, as well as the official opening of Cook Medical’s new facility in Canton; the expansion of Nippon Sharyo’s rail car factory in Rochelle; and the expansion of Plastics Color Corporation in Calumet City. In this survey year, Illinois gained back some of the jobs it had lost over the 2012-2013 survey period, with employment up more than 2,300 jobs or a half percent. Gains were led by the state’s transportation equipment sector, which surged by 6%. Significant increases were also reported in electronics; lumber/wood; and furniture/fixtures. Chicago posted its first industrial job gain in more than a decade, up 1.5%. A number of manufacturing companies broke ground in the city in that year, including cleaning products maker Method, which broke ground on an advanced LEED certified production plant in the city’s Pullman neighborhood, and Lagunitas Brewing, which established a new facility in the city’s Douglas Park neighborhood. Employees of previously-shuttered Republic Windows & Doors reopened that Southwest-side plant under the name New Era Windows; Ford ramped up production at its assembly plant in Hegewisch; and Revolution Brewing expanded production at its Avondale facility. Employment inched up for another year in the collar counties, and we also saw some growth downstate in this year. Manufacturing employment declined in this year, shedding more than 7,000 jobs or one percent. The state lost jobs across the board, with declines reported in Illinois’ top industries such as industrial machinery and food processing, while printing/publishing; textiles; electronics; stone/clay/glass; transportation equipment; and furniture/fixtures all posted significant losses. Just two sectors added jobs: rubber/plastics, which grew by 2% and paper products, up a half percent. In this year we saw the loss of Mitsubishi, which shuttered its factory in Normal after thirty years, while slot machine manufacturer WMS Industries moved its operations from Waukegan to Las Vegas. Honeywell Systems Sensor shuttered its St. Charles facility; Telesource Services LLC closed in Bensenville; as did Modine Manufacturing in Ringwood; and Caterpillar supplier Bergstrom, Inc. in Joliet. Illinois did draw a few new manufacturers to the state however, including Revolution Enterprises, which started up a large marijuana processing plant in downstate Barry. In addition, aviation systems manufacturer Woodward Inc. opened its second Illinois factory in Niles. Illinois lost jobs again in this year, but at a much slower rate. The state’s industrial workforce dipped a half percent or by 3,800 jobs. Losses were led by the state’s transportation equipment industry, which declined 4.5%, due partially to the closure of International Automotive Products in Belvidere and supplier Rockford Products in Rockford. The state lost jobs across the board, with fifteen of twenty-two industries declining, while just seven sectors added jobs. However, Chicago added industrial jobs once again in this year, rising 2.1% to 108,198 jobs. The city saw expanded hiring at Ford’s southeast side assembly plant in response to a city contract for additional police vehicles, while Unilever announced plans to expand its Hellman’s mayonnaise factory in Little Village. In conclusion, since the recession we’ve watched Illinois struggle to add and retain industrial jobs as the state grappled with a budget crisis and growing competition from neighboring states. However, Illinois’ migration rate has slowed in recent years and Chicago is fast emerging as a manufacturing hub, drawing more and more innovative companies to its borders – and losing fewer companies as well. Next we’ll break down the numbers for Illinois, taking a look at some of the top industries, cities and manufacturing companies for the state right now. 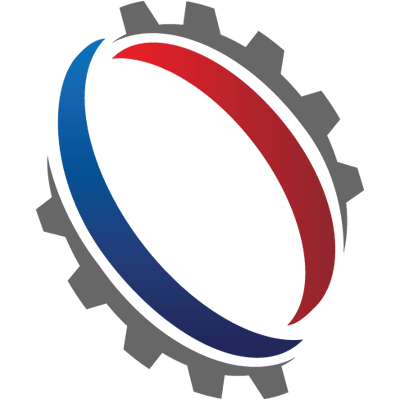 IndustryNet data is powered by MNI, compiler and publisher of industrial data since 1912. To access detailed profiles of Illinois’ 17,000 industrial companies and their 53,000 executives, learn more about IndustryNet’s database subscription. Related Companies: Bridgestone Americas Tire Operations, Caterpillar Inc., Caterpillar Inc., Continental Tire The Americas, Excel Foundry & Machine, Inc., Ford Motor Co., Chicago Assembly Plt., Lagunitas Brewing Co., Magnum Steel Works, Inc., New Era Windows, LLC, Nippon Sharyo Mfg., LLC, Pastificio, Inc., Plastics Color Corp. Of Illinois, Quad/Graphics, Inc., Revolution Brewing, LLC, Unilever Illinois Mfg., LLC, Woodward, Inc.